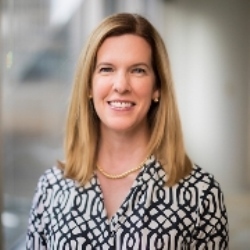 With more than 20 years of experience spanning startups, private equity, research and operations, Amy Francetic oversees Invenergy’s sourcing and integration of technology innovation and strategic investments that leverage its operating portfolio. She also leads Invenergy’s external corporate affairs, focusing on enhancing brand visibility and strategic partnerships. Prior to Invenergy, Francetic served as CEO of technology accelerator Clean Energy Trust. She also held roles at private equity firm MVC Capital and Stanford Research Institute. Previously, she was co-founder and CEO of a tech company that she sold to Lego Systems. Francetic serves on Advisory Boards for the WISER Institute at the Illinois Institute of Technology, Northwestern University and the Museum of Science and Industry. She has a BA in Psychology and Political Science from Stanford.